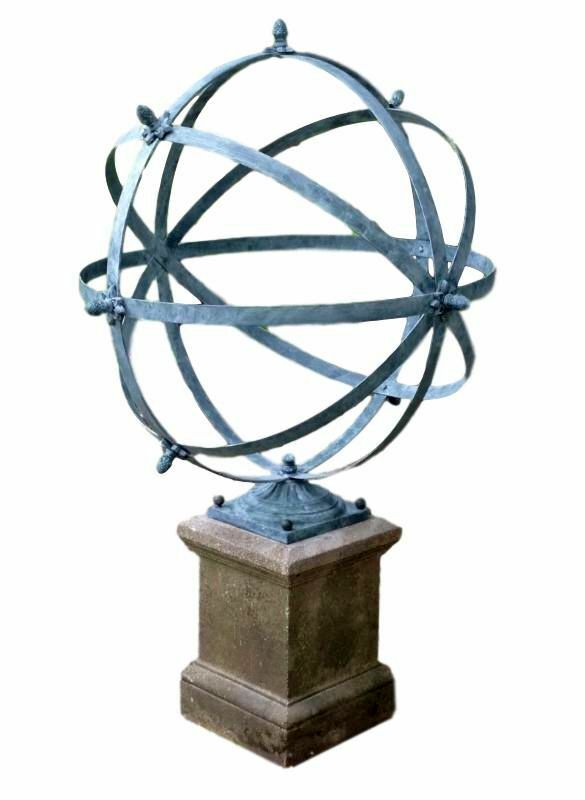 Handcrafted wrought iron sphere comprised of new and antique arcitectural elements. Mounted on a vintage cast stone plinth. 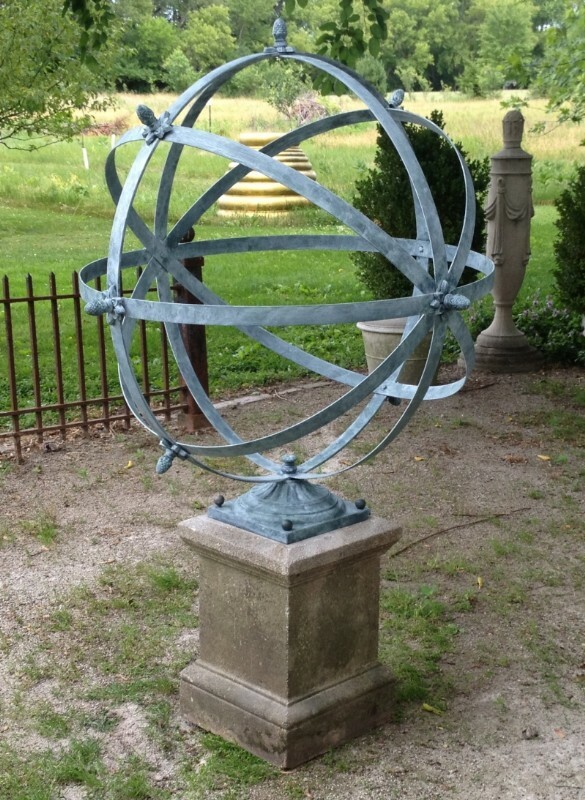 36" in diameter.